Brothers Outdoor Services provides lawn maintenance and lawn care in Brookfield CT and the surrounding areas. Our services will keep your lawn looking great and functioning at its best throughout the seasons. Contact us to start shaping your landscaping visions today. The easiest way to maintain your lawn and continue to keep your lawn looking healthy is to mow your lawn regularly. There are great benefits to keeping up with this seemingly draining chore. Grass cutting helps to keep your lawn clean and potentially even keep certain unruly pests away. Instantly, after a lawn has been mowed, you will notice a fresh look to your yard. Leaving the professionals at Brothers Outdoor Services to perform your lawn mowing services will keep your lawn happy, healthy, and looking fantastic. 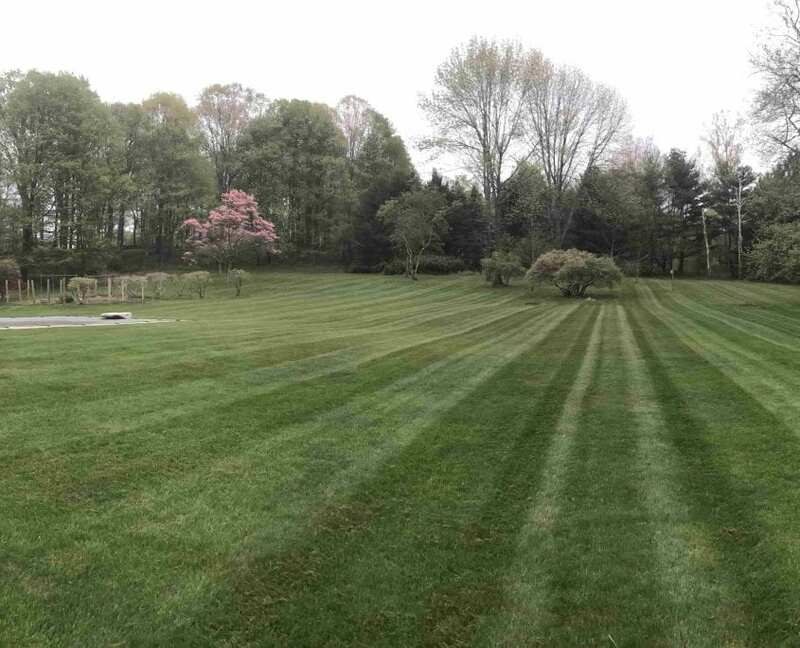 Interested in Lawn Care and Lawn Mowing Services in Brookfield CT? Fall is here! That means food, fun, football, foliage, and more! 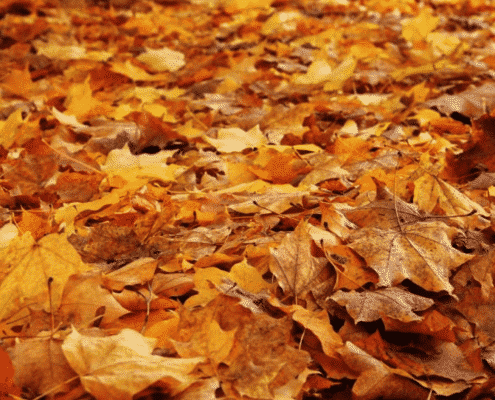 Leaves, cones, and pine needles, can often litter your yard or outdoor space before winter. Managing these can be time consuming, and if left to sit under the winter-time snow, can make it even harder to manage in the spring-time. 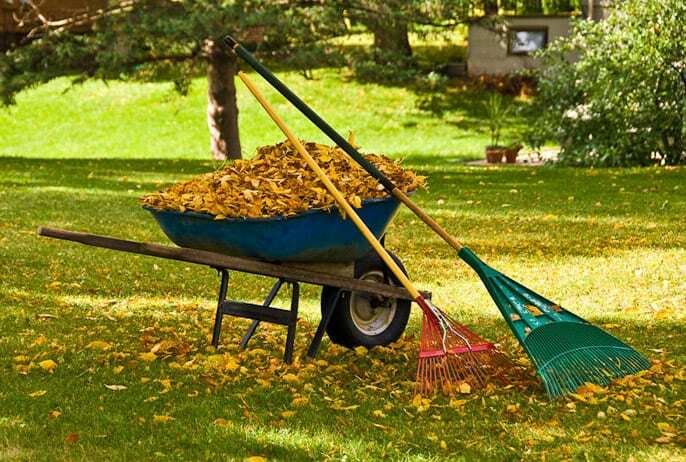 We rake and remove leaves, debris, clean up your garden or other planting areas, cut back perennials and clean out annuals, remove weeds as well as mulch, and much more. 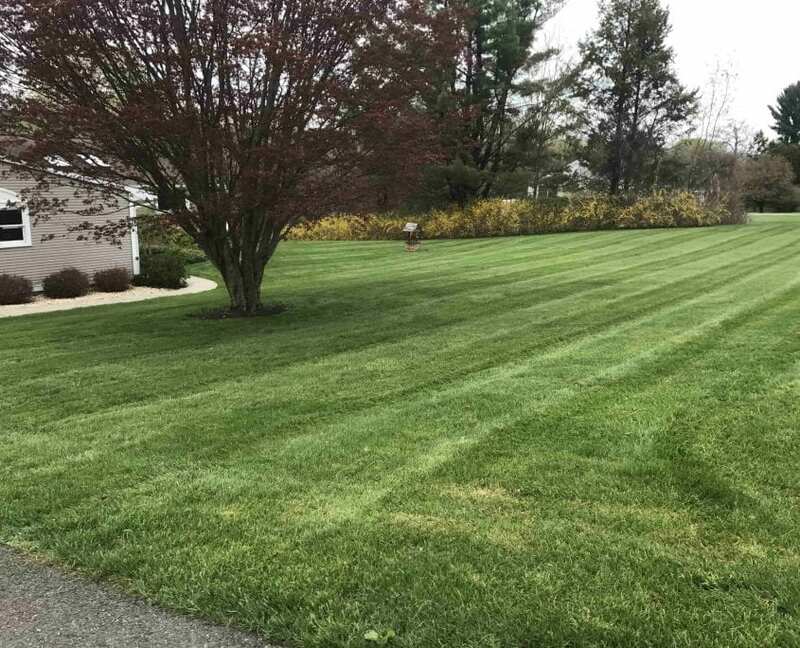 Our spring cleanup services in Brookfield CT and the surrounding areas provide an excellent way to start your lawn off on the right foot. The winter months often leave a messy aftermath and most often people struggle to find the motivation to clean this up. Spring clean ups include clearing debris like leftover leaves and branches, removing weeds, installing mulch and garden clearing, among other fantastic services. Brothers Outdoor Services will rescue your lawn after the hard winter, making it ready to blossom! Ready to start the garden you have always been dreaming about, or maybe your current garden is ready for a touch up? 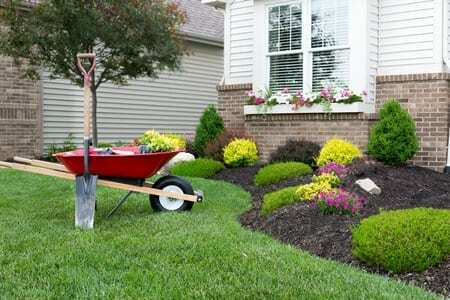 Bed mulching is a great way to enhance the look of your garden bed. There are quite a few mulch choices to consider as well as great benefits to mulching your garden bed. Soil moisture is retained and weed growth is prevents. To top it all off, your garden bed will look fantastic. Contact us today to turn your garden dreams into a reality. Following through with maintaining your garden bed can be time consuming and often, we just want a day to sit back and relax and enjoy the space we have worked hard to create. Lacking in the proper maintenance schedule for your garden bed can lead to negative results, and we understand that you may not have the time to perform this maintenance on your own! 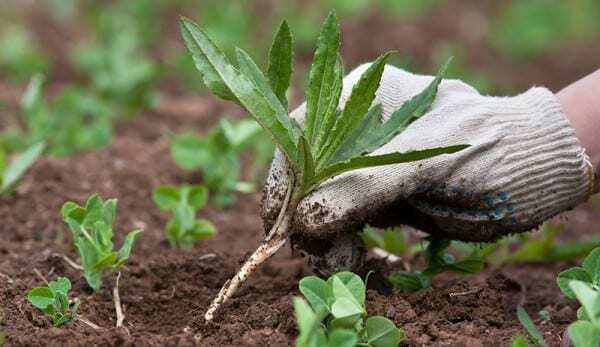 Weeds and poor soil health are just a couple of results from poor maintenance practices. 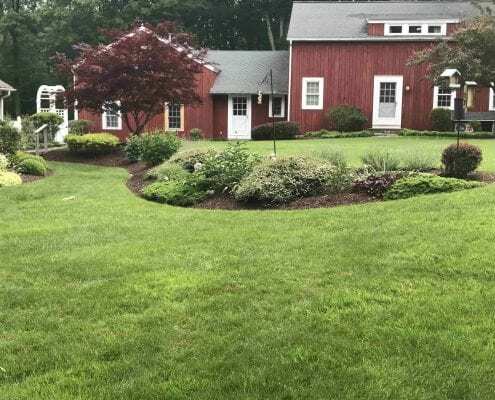 The team at Brothers Outdoor Services has the patience and reliability to continue your garden bed maintenance in Brookfield CT and the surrounding areas. A happy hedge, is a maintained hedge – and a great looking one at that! You maybe have glanced at large, well shaped hedges in passing, or maybe haven’t been able to get yours to the right shape. You may want to simply add new hedges to your lawn. 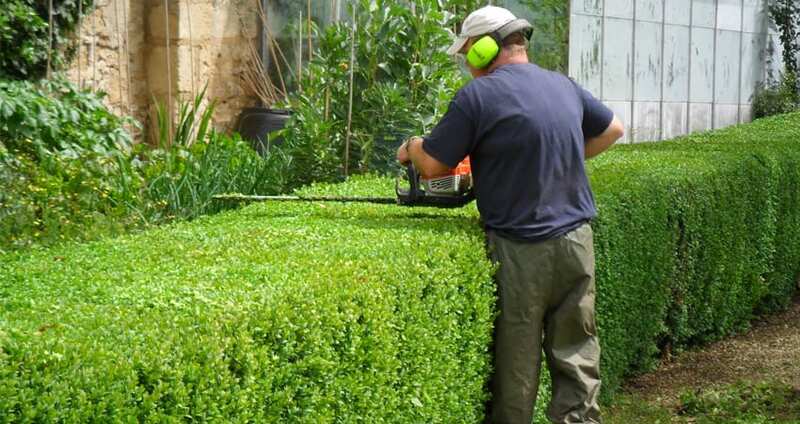 No matter the circumstance, Brothers Outdoor Services understand how to prune and trim your hedges into shape and continue to maintain them. Each hedge is certainly different, but that won’t stop us – we love what we do! Contact us today to get your lawn back into shape. It is not uncommon that we find ourselves spending hours maintaining our lawn due to an overwhelming amount of weeding. Weeds often find their way into lawns and gardens. Controlling the growth and spread may seem unstoppable – not for the experts in weeding in Brookfield CT. The team at Brothers Outdoor Services understands how tactful and brutal some of these weeds may be. We provide a weeding service as well ways to prevent weeds from infiltrating again. Give us a call and we let us show you how we can bring life back into your lawn today. It can certainly be stressful if you have been doing everything you can to assist your lawn in becoming full and healthy, and not seeing results. Maybe you’ve been on a full grass cutting schedule and you believe you’re doing everything possible to make it look beautiful. It is time to aerate your lawn. Often times, growth cannot occur because grass is not receiving enough nutrients or sunlight. Aerating your lawn as well as overseeding it offers your grass the ability to receive the nutrients and sunlight it is lacking. We are happy to provide an aeration service in Brookfield CT and the surrounding areas that will be sure to improve the overall quality of your lawn. Contact us today and we will get you started.